Here at Williams Amusements, our job is focused on selling, repairing, and custom building arcade machines, which means our workplace is always full of games. But most people aren’t so lucky. However, there is evidence to suggest that there is a direct link between productivity and arcade gaming in the workplace. While it’s never a good idea to bribe your employees, surely they will deserve a reward at some point? Monetary bonuses aren’t as common as they used to be, due to the economy, so how else can you reward your staff? Well, some companies have taken to using gaming time as an incentive, rewarding staff who meet deadlines and targets with the opportunity of 20 minutes gaming time during the working day. 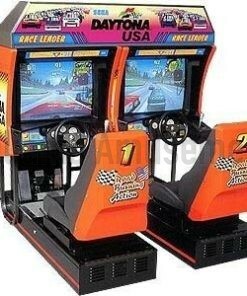 An office arcade machine could be perfect for this kind of incentive. Logging high scores and offering something unique and different in terms of game-play, it means that your staff will be more interested in landing the reward. Especially if the machine is placed in a prominent position. Gaming doesn’t just have to be used as a reward though. In fact, it can also be used to help with employee concentration and focus. That might seem like an unusual combination, but think about your own downtime. If you spend the day working a desk job or a repetitive job, it is important to take your breaks and enjoy some time away. However, most of our spare time activities are spent flicking through social media, which is not a good way to unwind. Encouraging gaming in the workplace as a downtime activity can help employees relax and come back to their work tasks refreshed, and re-energised. 1. Your employee will have to leave their workplace to play. Even just a walk across the office will help them to begin to relax. 2. Arcade machines are incredibly sociable. They will encourage your employees to chat and have fun together during the dinner hour, rather than stare at their mobile phones in solitude. 3. 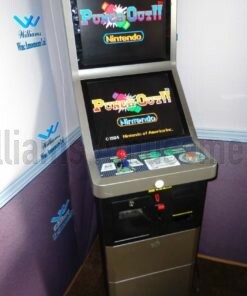 Arcade machines offer the fun and unique value that other consoles just dont add. After all, many of your employees will leave the office to play on the console at home, so adding cosole games to the workday is not as interesting. Why not check out our arcade game machines today, here at Williams Amusements.